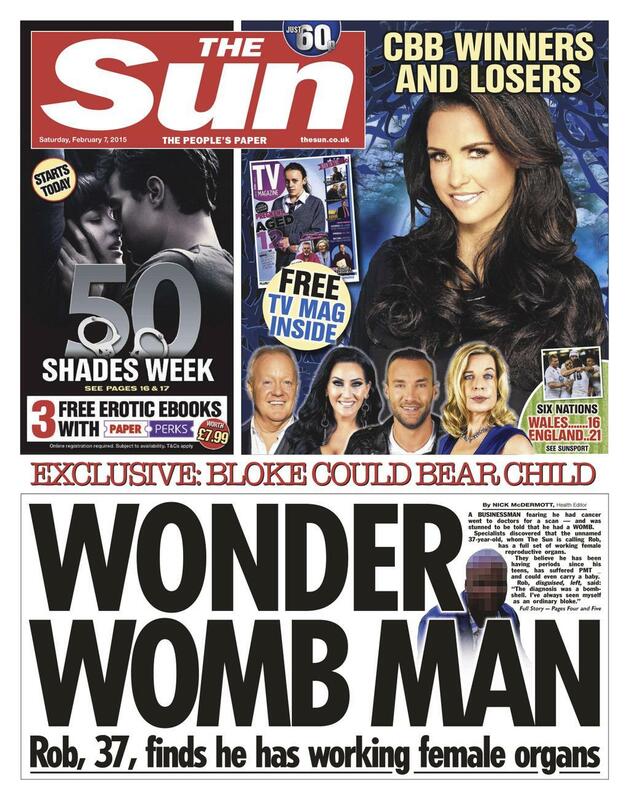 The Man with a working Womb "He thot he had cancer"
According to the upcoming exclusive details in the sun, There is the story of a man who has now discovered he has a WOMB. A BUSINESSMAN fearing he had cancer went to doctors for a scan — and was stunned to be told that he had a WOMB. A businessman, 37 fearing he had cancer went to see his doctor for a can - and was stunned to be told that he had a WOMB. Specialist discovered that the unnamed 37-years has a full set of wrking female reproductive organs. They believe he has been having periods since his teens, has siffered PMT - and could even carry a baby. Gossip Girl ends with Dan Humphery being "Gossip Girl" - who would have thot?